Fontechiara is not only for Italian holidays, but it is also a working farm. Our restaurant owes its self-sufficiency to the products we produce ourselves. 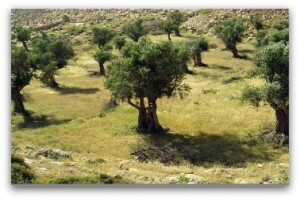 The fields are cultivated according to organic farming principles and the company is certified by ICEA. This is a guarantee, certifying that our products do not contain chemical residues of plant pesticides, fungicides or artificial fertilizers. The rotivation of the earth and crop rotation enables us to preserve the fertile layer of soil; which allows us to restrict the use of fertilizers. This rewards us with a healthy respect for the ecosystem and organic products, without “food miles”, that are particularly wholesome and tasty. The olive grove that was originally on the land of Fontechiara was insufficient, so in 2000, our love for this noble plant, and a passion for the finest extra virgin olive oil led us to plant new trees up, these number up to seven hundred and fifty units to date. These trees, with their incredible lifespans, also provide us with a handy way of capturing carbon and offsetting any carbon used by our guests during their travels to Italy. What makes a quality extra virgin olive oil from Italy? The original olive grove enables us to produce high quality extra virgin olive oil newer plantations are helping us to increase the yield on an annual basis without detracting from the highest levels of quality. The quality of our Italian extra virgin olive oil is only possible because of the particular climate, the soil fertility and by paying close attention to the cultivation, collection and at the time of pressing. Our olive grove is made up of different varieties, all native to and typical of the Marche Region, which ensures that we optimise both the quality and quantity. Each variety is characterized by aromas and flavors that distinguish it from other details. The Chaplet oil has a fruity aroma with notes of artichoke, the Mignola is unique for its bouquet of wild berries, the aroma reminds you of dell’Orbetana almonds and tomatoes and the robust Mogliano olive tree produces an oil that has hints of apples and green almonds. quality oil. The olives are harvested with care by hand or with the help of pneumatic rakes and are taken to the press or “frantoio” within 36 hours, for grinding using traditional cold pressing. 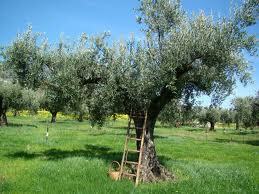 Why Cold pressed Italian Olive Oil? 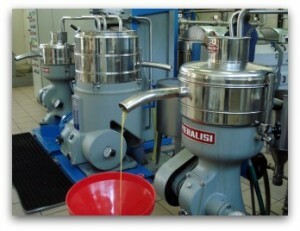 The cold pressing procedure retains the olives chemical, physical and organic components such as vitamins, carotenes, unsaturated fatty acids and polyphenols, which are responsible for the slight bitterness that every quality extra virgin olive oil must have. In addition, the antioxidants that play such a precious role in our bodies. 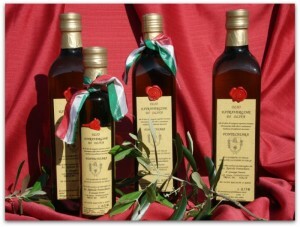 The olive oil is sold in the company Fontechiara or shipped directly to your home. It is available in bottles of: 0.5l, 0.75l, 3.00l, 5.00l plus shipping charges. The orchard includes more than fifty edible plants with many varieties whose tastes and flavours are now being rediscovered. We use many ingredients for our fruit jams that you can enjoy during breakfast at the farmhouse. In particular, our guests love our sour cherry jam, using a variety of ancient wild cherries. The apple jam and preserves capture the fragrance of roses and our spring plum jam and cinnamon evokes the warmth of a fireplace. Each season offers its delicacies, we begin with the apricots, cherries and mulberries in the spring, we enjoy sun-ripened peaches and sweet figs in the summer and conclude with apples, pears and persimmons until DecemberThe garden is grown using mulching sheets so as to avoid excessive drying of the soil, creating a microclimate very favorable to the growth of vegetables and drip irrigation reduces water needs, saving a precious commodity. 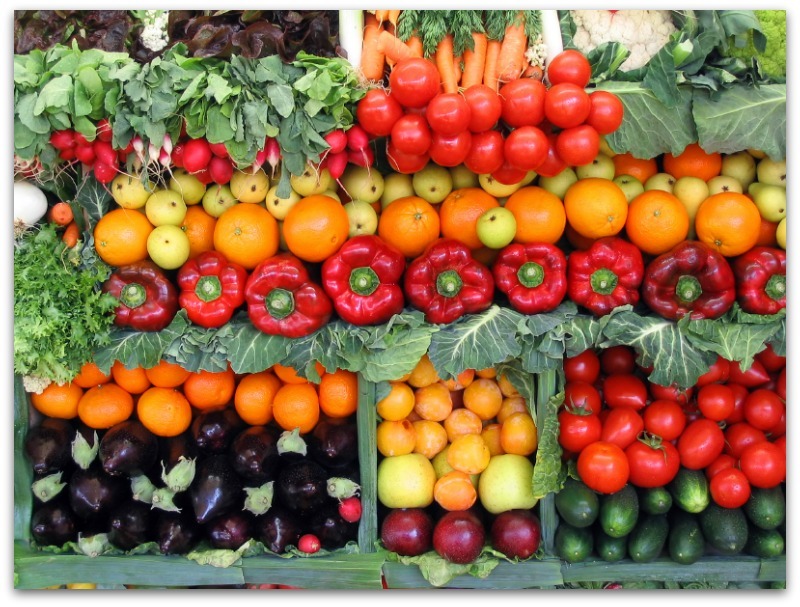 By planting seeds of various vegetables we are able to gather fresh vegetables almost year round. They are mostly the summer vegetables such as tomatoes, aubergines, peppers and zucchini delivering summery flavours and aromas to your plate. 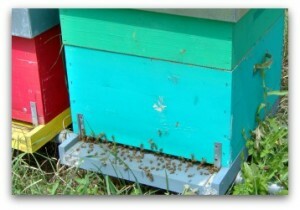 The bees are essential to our farm for pollination of flowers. At our Agriturismo we keep bees, which after a year of tireless work of collecting nectar from flower to flower in summer give us a nice fragrant golden honey that we use on a farm for breakfast an in the preparation of sweet, tasty and healthy dishes. Our honey, is completely free of residues of pesticides and antibiotics and is available in jars of 500g..